"Our two children have been in Children's Garden Montessori for the past four years and we could not be more pleased. Joan and her staff have been nurturing and patient with our active boys, and reliable and professional with us. I trust each member of her team completely to make decisions for our children and to work toward their individual growth. 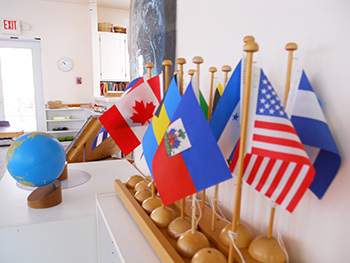 As a certified AMI Montessori teacher, Children's Garden has won my loyalty through their dedication to the Montessori method and their exceptionally prepared environment. As a parent, there is nothing as exciting as watching your four-year-old sound out his first words. This could never have happened with out Children's Garden's guidance. I truly believe that our children, as well as our family, are better off because of this remarkable school." 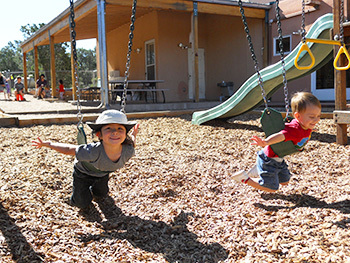 "We have felt so fortunate to have Children’s Garden Montessori pre-school in our community. We wanted more than day care for our children, and we found that safe, positive, fun and engaging environment at Children’s Garden. Our kids have thrived at this school, progressing both intellectually and socially as a result of the experienced and caring teachers, the low teacher-child ratio, and the Montessori educational philosophy." "Enrolling my daughter in Children's Garden Montessori was the best thing I ever did. The teachers create an environment full of wonder and practical, hands-on learning. In several weeks, I witnessed my daughter not only begin to sound out words in the books I read her, but also develop such a passion to learn more about the world around her. 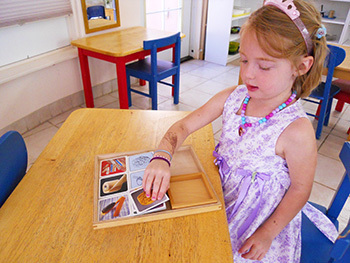 Every child should have the opportunity to experience the Montessori approach to education; it's life-changing!" "As grandparents, having our grandson in Children’s Garden Montessori has just been wonderful. Every day that we bring him into school, we see how all of the teachers enjoy what they do—that they enjoy being with children of all ages and that they are very passionate about imparting an enthusiasm for learning and living life with a positive caring attitude for all. We are very fortunate to have him at the Children’s Garden Montessori." "My daughters both attended Children’s Garden Montessori for their preschool education. They are now in elementary school. They love school and both of them are part of the school’s Enrichment program. I really believe that their preschool experience gave them their foundation for their love of learning and the skills needed to follow their interest and stay engaged in learning. Children’s Garden provided a safe and beautiful environment that fostered my children’s curiosity about the world around them, as well as providing opportunities for positive interaction with other children and adults. Those formative years are so important in developing a foundation for the way in which children approach learning. Thank you for giving them and my family a place where they were able to succeed!"